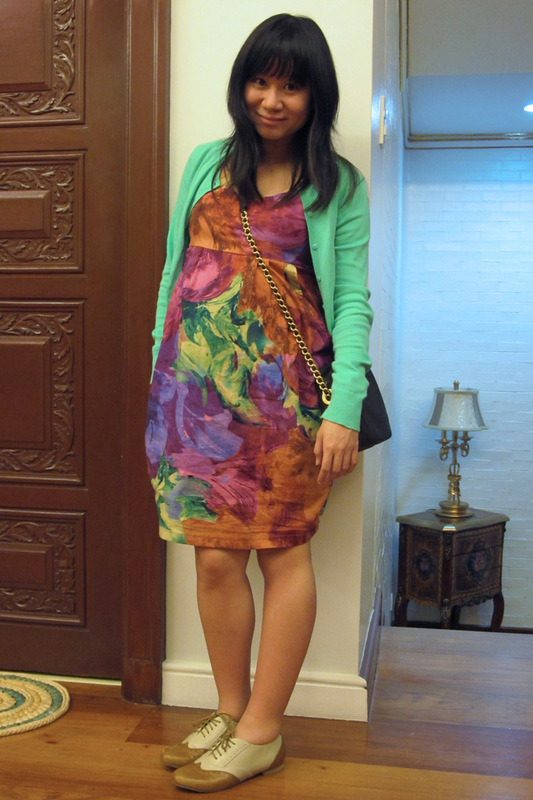 A casual Sunday outfit for Sunday Mass, lunch out with the husband and Sunday family dinner with my family. Recently discovered how yummy banana ice cream with thai tea ice cream is! Super yummy!!! Combine the two and it's bliss! Nom nom nom. i love the colors here, especially the mint green hue of the cardi! very cute look, dear! Your outfit's so perfect for Sunday! Such happy colors :) Hope you had a good weekend! So pretty! The colors are spectacular. green is definitely my color! another great combination :D love it!